Rep. Charlie Dent (R-Pa.) at the "Congress of Tomorrow" Joint Republican Issues Conference, at the Loews Hotel in Philadelphia, Pa. on Jan. 25, 2017. Dent will leave office in May. 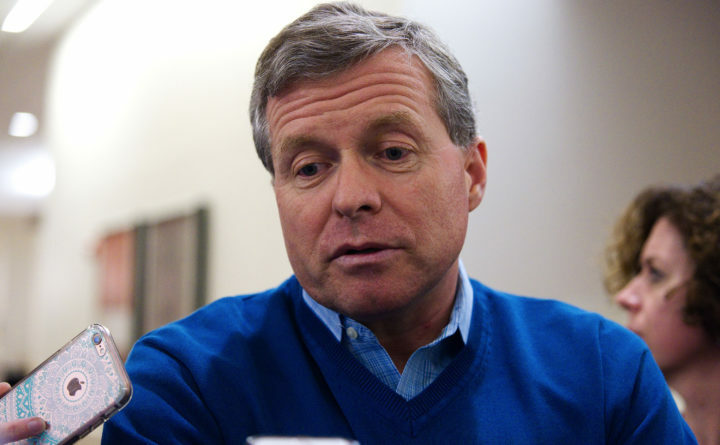 Rep. Charlie Dent, Pennsylvania, a frequent critic of President Donald Trump and a leader of the GOP’s moderate bloc in the House, said Tuesday he will resign from Congress within weeks. His decision could set up a costly special election if the Democratic governor of Pennsylvania orders one. Pennsylvania election law requires the governor to issue a writ of election within 10 days of a vacancy, with an election to follow “not less than sixty days” later. Although the election could be held during “the next ensuing primary or municipal election,” Pennsylvania’s primary will be held May 15 — before any special election could be called. It is not clear whether Wolf would schedule an election so soon before the November midterm election will bring a full-term replacement for Dent. A special election called before the Nov. 6 general election could force Republicans to spend millions to defend the seat. Democrat Conor Lamb won a March special election in Pennsylvania’s 18th Congressional District, which Trump had won by 20 points in 2016. Dent’s district is much more competitive for Democrats — it voted for Trump by eight points — and it is set to become even more competitive after a court-ordered redistricting. But a special election would fill the seat based on the existing lines.